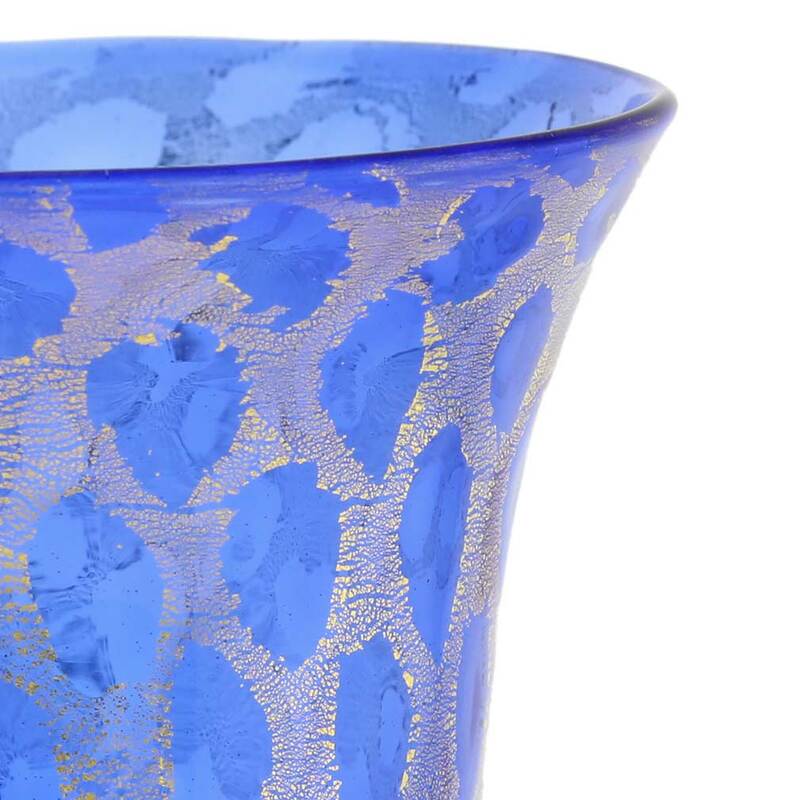 This gorgeous hand-blown Murano Glass Goblet seems to glow from within thanks to the rich blue color and 24K gold infused in the glass. 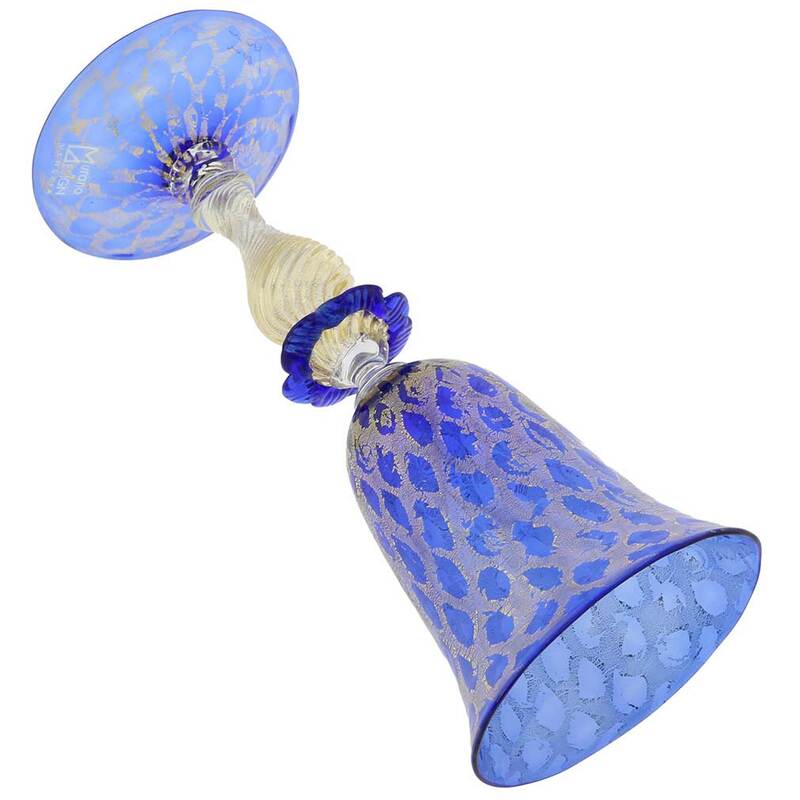 Get a feel for how Venetian nobles lived and entertained centuries ago and enjoy Old World European elegance with these fine Venetian Glass wine glasses, which follow distinguished Murano glass-making tradition. 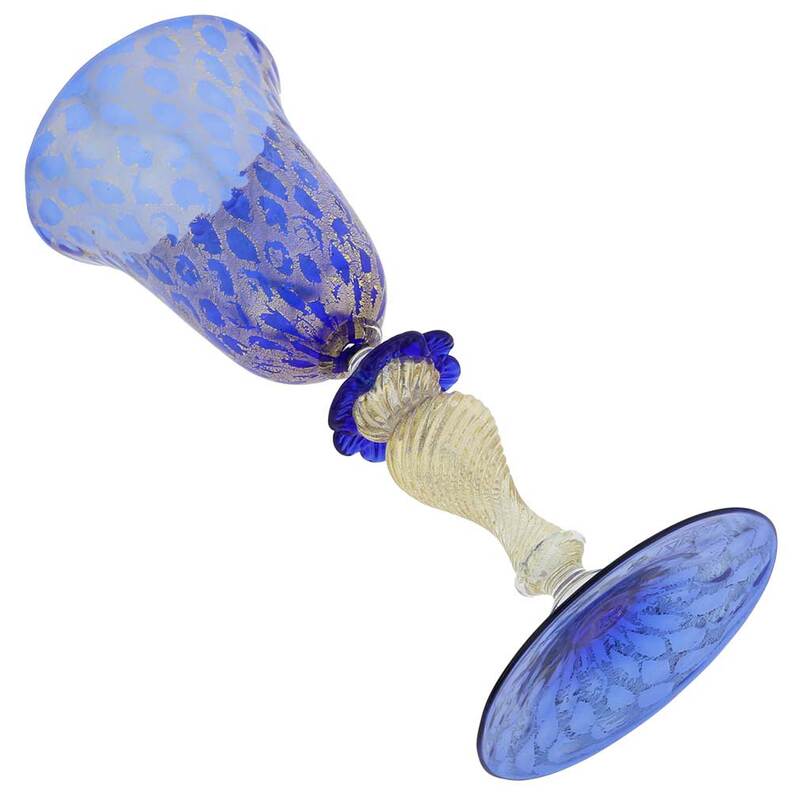 This traditional Venetian wine glass or a set of them make a fine gift for big occasions such as weddings, engagements, retirement, birthday, or anniversary. Measurements: This Murano Glas wine glass holds approximately 10 oz of liquid. It measures about 10 inches in height, and the diameter of the base is about 4 inches. 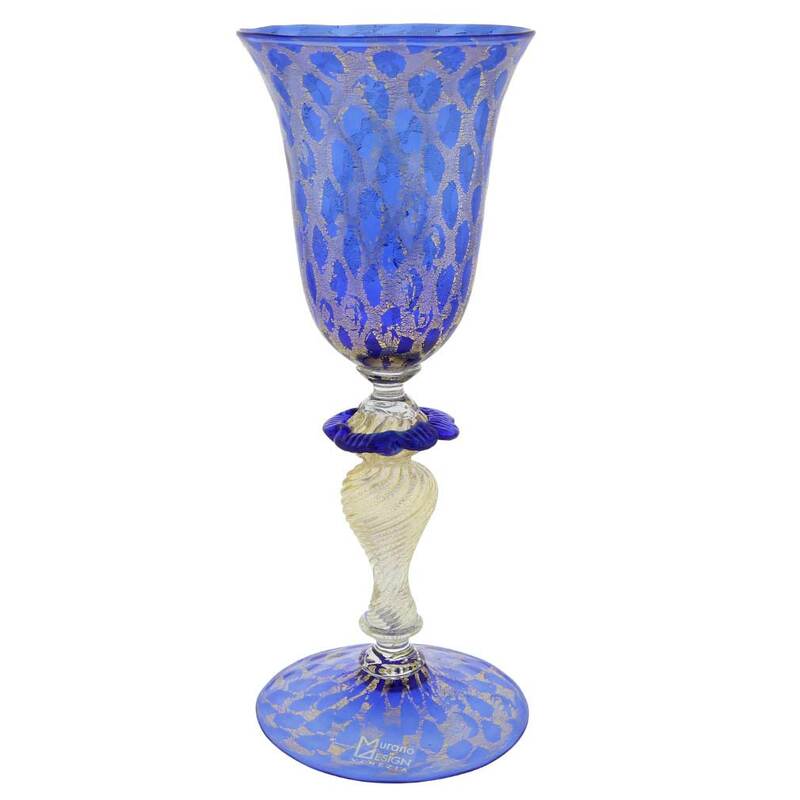 The Murano Glass goblet can be used for red or white wine, sparkling wine, and champagne. The goblet is very well packaged avoid breakage in transit and comes with the original sticker and engraving on the base, and a certificate of authenticity. 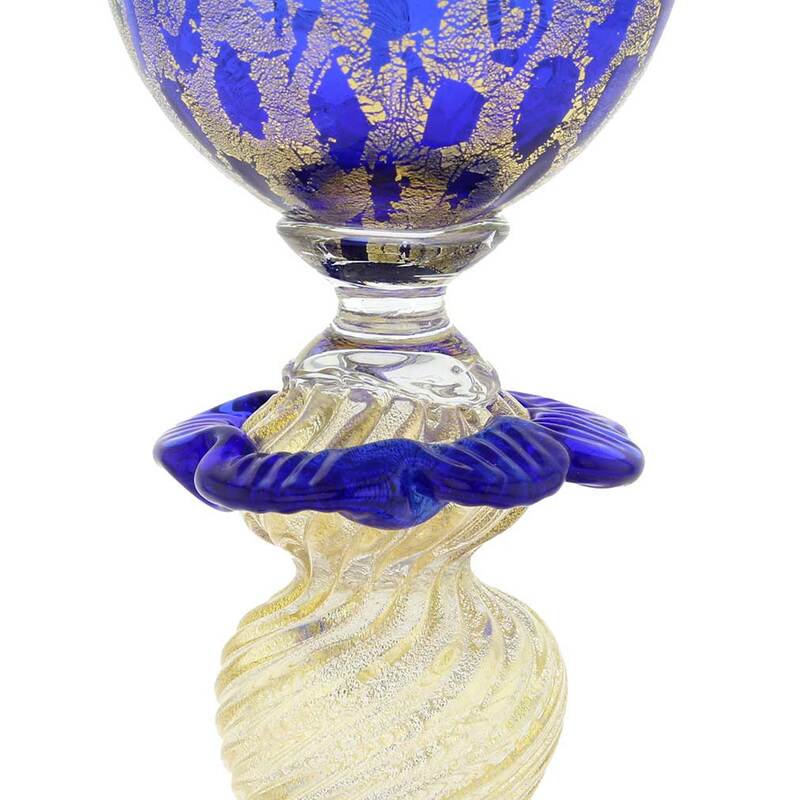 Because this Murano Glass wine goblet is a unique work of art made by hand, slight variations of sizes, colors, and patterns are possible.